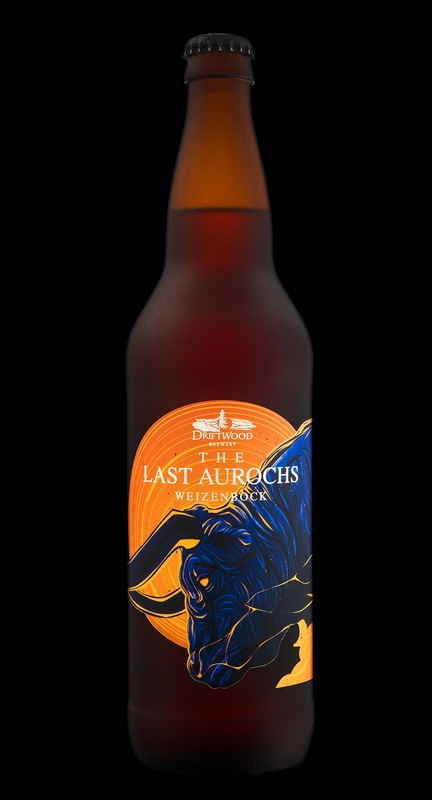 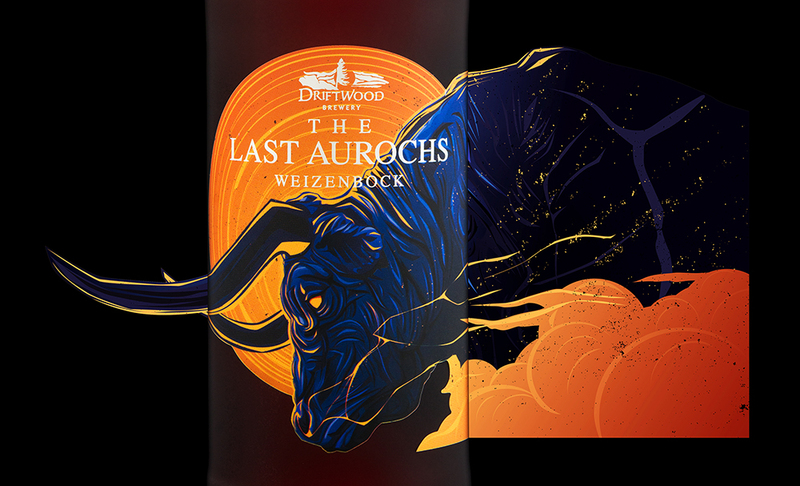 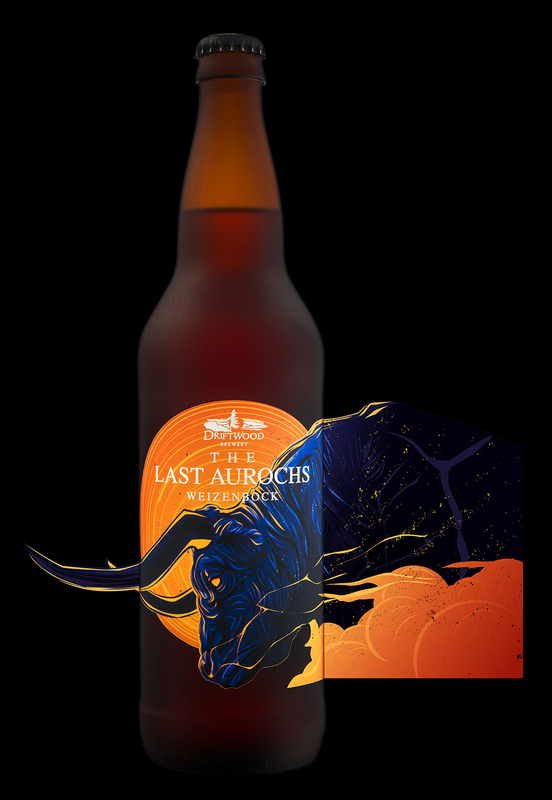 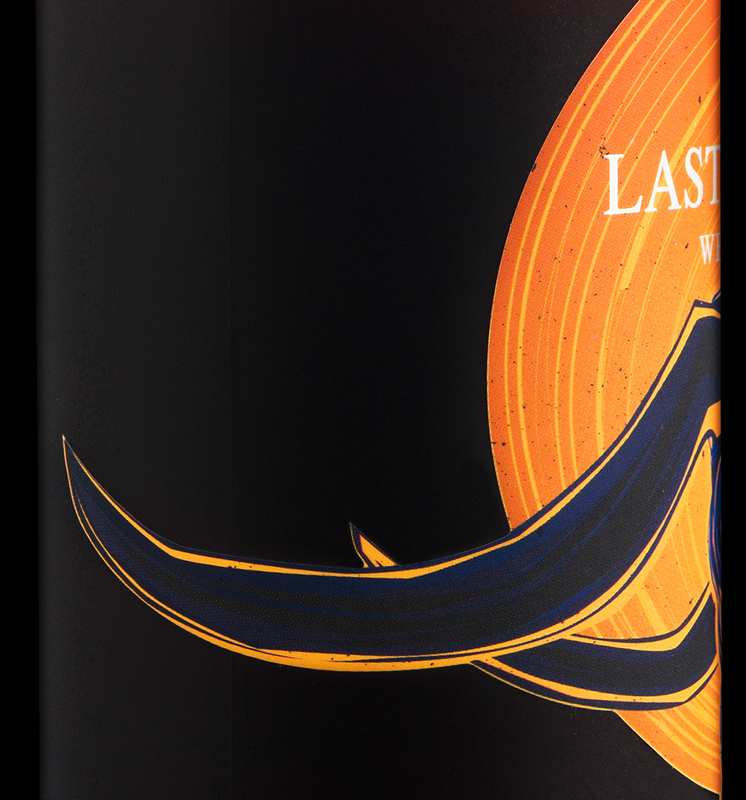 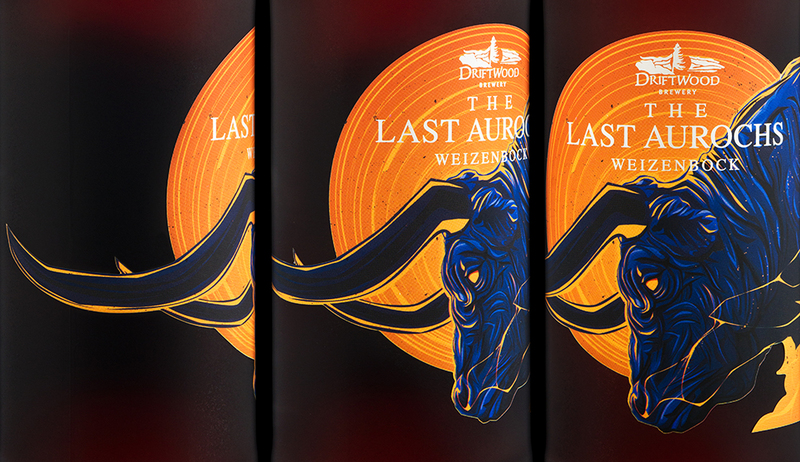 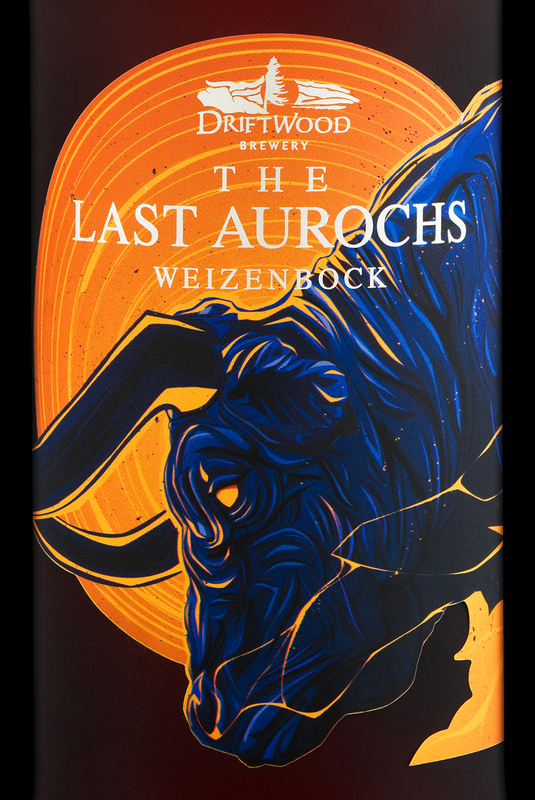 For Driftwood Brewery’s new Weizenbock, we decided to illustrate an aurochs (an extinct ancestor of modern cattle), putting a spin on the traditional goat illustrations featured on most bocks, while retaining a subliminal connection to the beer style by speaking in a similar design language. 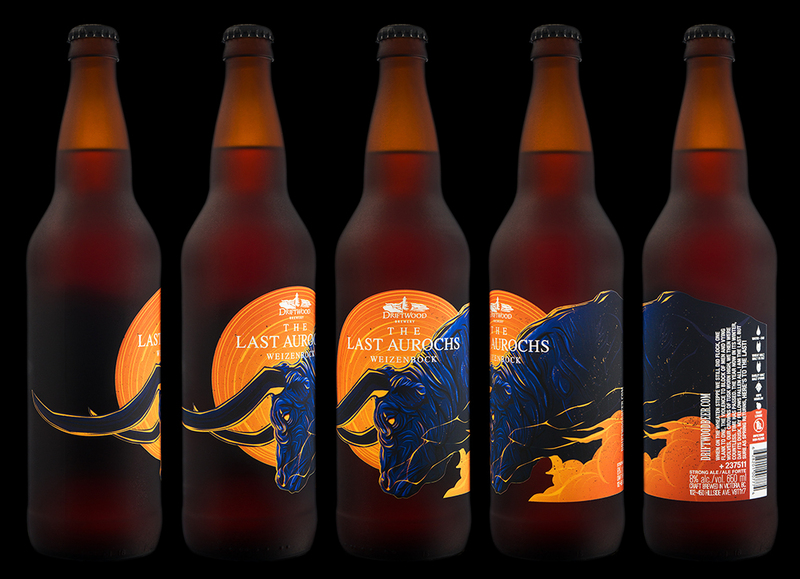 We laid out the aurochs so that it’s charging across the centerline, emphasizing the main action, with the left-of-center area almost entirely taken up by the aurochs’ iconic horns. 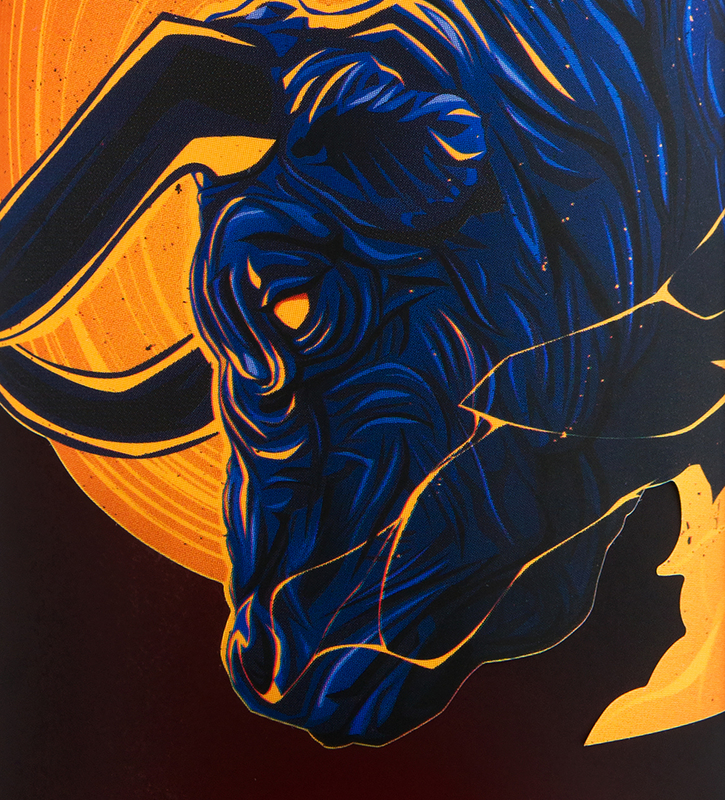 To set it all off, we used a bold orange-and-indigo colour palette, rendering in rim lighting to accentuate the silhouette’s strong S-curves and the motion of the kicked-up dust clouds. 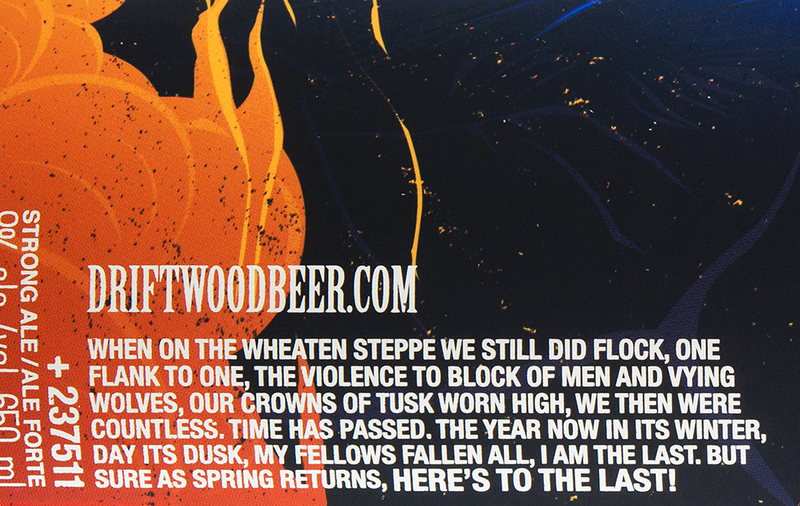 But sure as spring returns, here’s to the last!